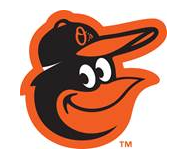 (Sarasota, FL) The Orioles invite fans of all ages to celebrate the start of Spring Training at Sarasota Springfest, a free family-friendly event at Ed Smith Stadium on Saturday, February 16. Along with watching Orioles pitchers and catchers practice on the back fields, fans can also enjoy games and interactive activities in the stadium from 9:00 a.m. to 1:00 p.m. ET.